Gallery wire, or gallery strip, is a flat band of metal made up of a continuous pattern which is usually cut into a series of upright prongs or columns, as well as a number of other decorative designs. The term ‘gallery’ refers to the area directly beneath the stone, and often joins the base of a setting to the functional setting surface. In some instances, the gallery strip itself can be used to set a gemstone and in others it is merely used for decorative purposes – that all depends on the design that you choose. The functionality of gallery strip depends very much on its integral design which determines its strength, but also (and of equal importance) the type of gemstone that you want to set. Most gallery strip is made of silver and is extremely pliable, making it easy to bend and shape. The downside of this is that it is unlikely to be strong enough to hold a facetted gemstone within the tips of the design – although on the flip side, many designs of gallery strip are perfectly suited to set cabochon stones securely, so as with everything there are good points and bad points. Wondering how to get started? 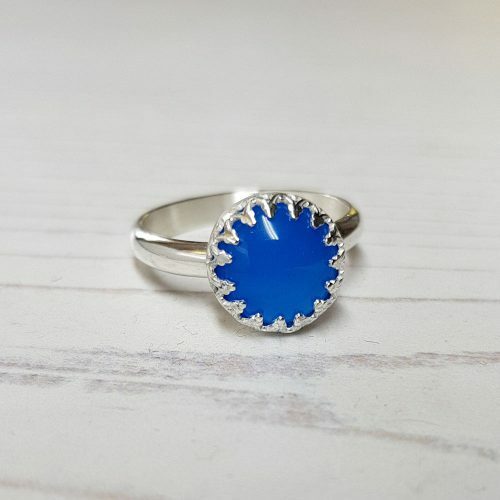 Discover how to make a stone setting from gallery strip with this step by step tutorial for a cabochon gemstone ring. It is also important to emphasise just how versatile gallery strip can be, as after all, it is simply a piece of decorative metal which can be manipulated and applied in any way you see fit. 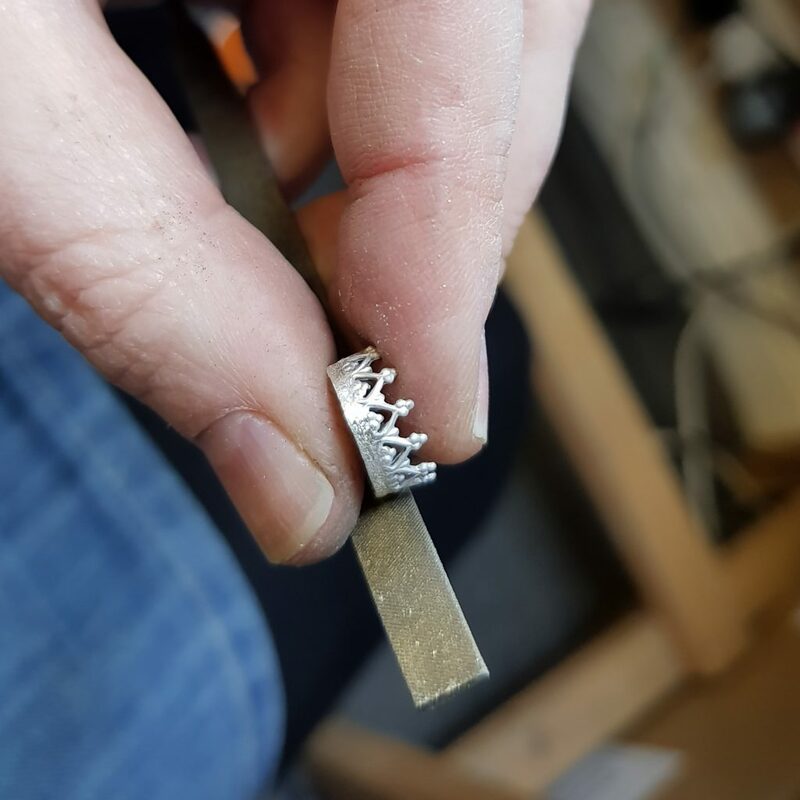 Whether it’s a decorative border for a hand raised bowl, or a delicate ring which has simply been hammered round and soldered to a flat ring band, the level of detail and design in gallery strip gives jewellers many different options. The beautiful and delicate appearance of gallery strip also means it is strong enough visually to be the main feature in any piece. 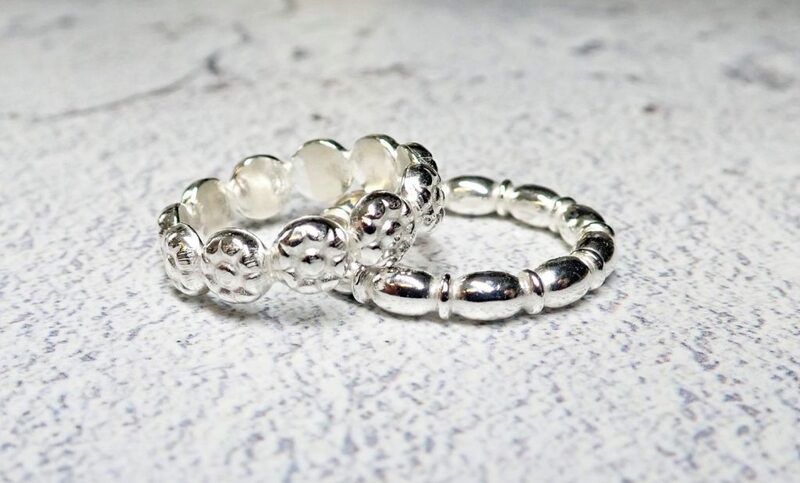 If you’re not quite ready to try your hand at gemstone setting, why not follow this jewellery making project and make stacking rings from gallery strip instead? You will find that gallery strip is often sold alongside bezel strip, which is plain and intended to be used purely to make gemstone settings. The two can be used in conjunction with one another, with the bezel providing the functional part of the setting and the gallery providing the decorative element. Once soldered together, the two pieces will become much stronger and form a fully functional and decorative strip with a minimum of work! We stock a wide selection of both gallery strip and bezel strip, with a variety of designs to choose from. However, it is worth remembering that the gauge of the strip will differ from design to design, as this will ultimately have a bearing on its strength. For example, some are only 0.5mm, whereas others are 0.9mm which is a considerable difference. Just make sure you check the gauge when picking your design to ensure your strip is fit for the purpose intended. So, if you fancy using gallery strip in one of your handmade jewellery projects, why not take a look at some of the stunning designs available in our range today? For similar materials you can use to embellish your design, don’t forget to explore our selection of beaded wire too.